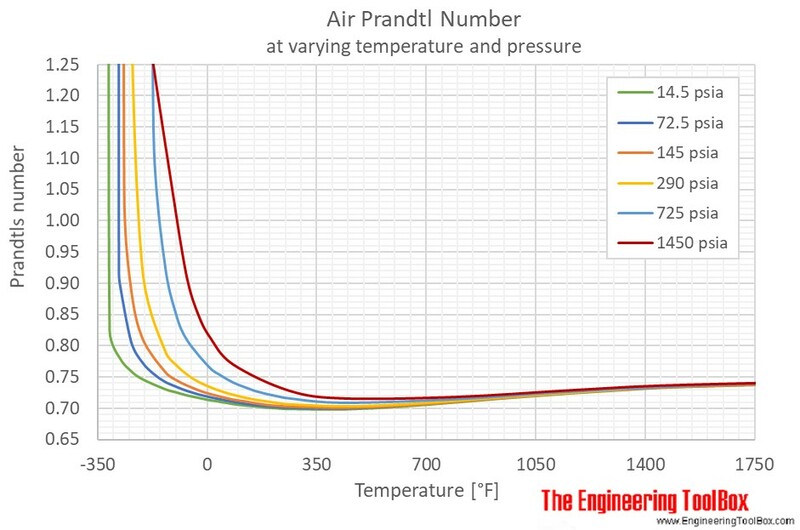 Below, Prandtl numbers for air at varying temperatures and pressures are given in figures and tables. 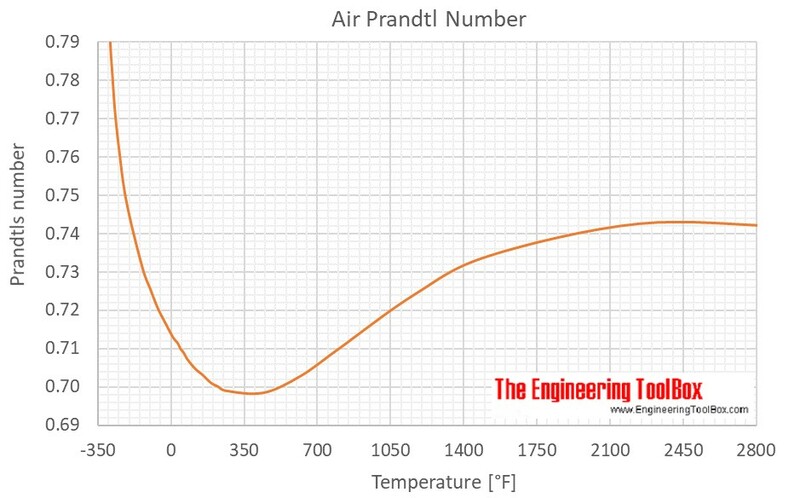 as well as Prandtl number of Ammonia, Carbon dioxide, Methane, Nitrogen, Propane and Water. Engineering ToolBox, (2018). 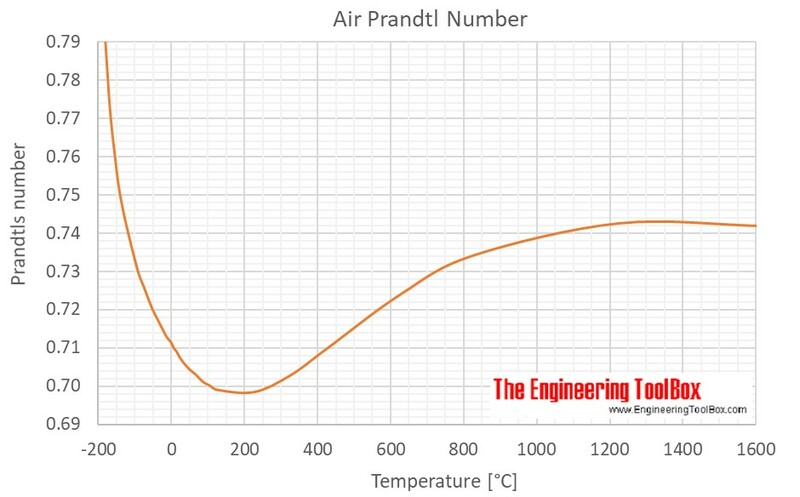 Air - Prandtl Number. 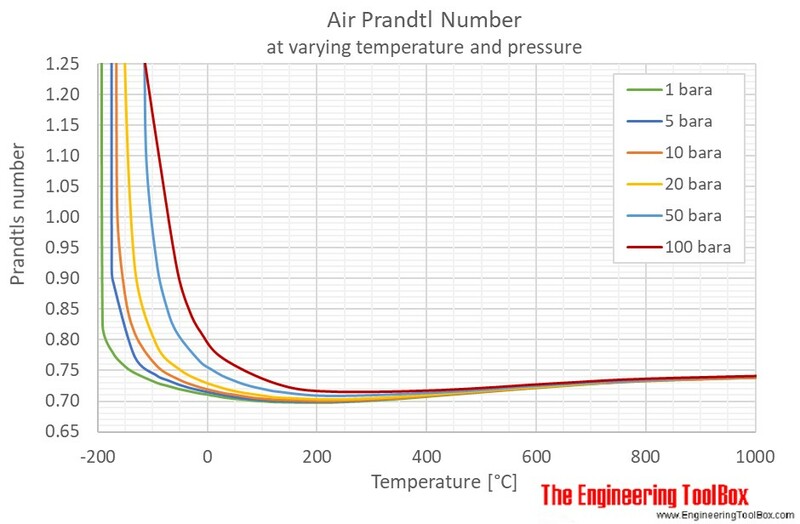 [online] Available at: https://www.engineeringtoolbox.com/air-prandtl-number-viscosity-heat-capacity-thermal-conductivity-d_2009.html [Accessed Day Mo. Year].